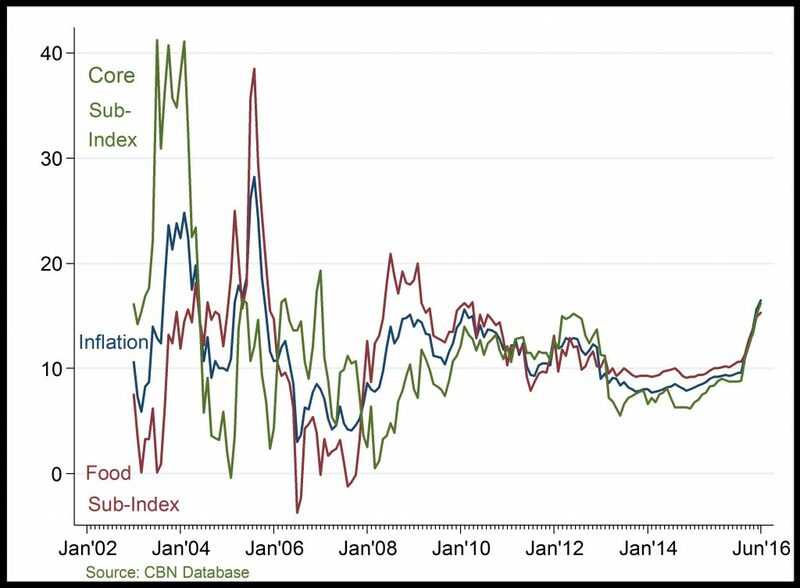 CPI and its Component: Changes in inflation rate has mostly been driven by the Core sub-index component. Precisely, in 2016 Q1 and Q2, the rising cost of import, electricity and transport drove inflation back to double digits after nearly two years of relatively low inflation. 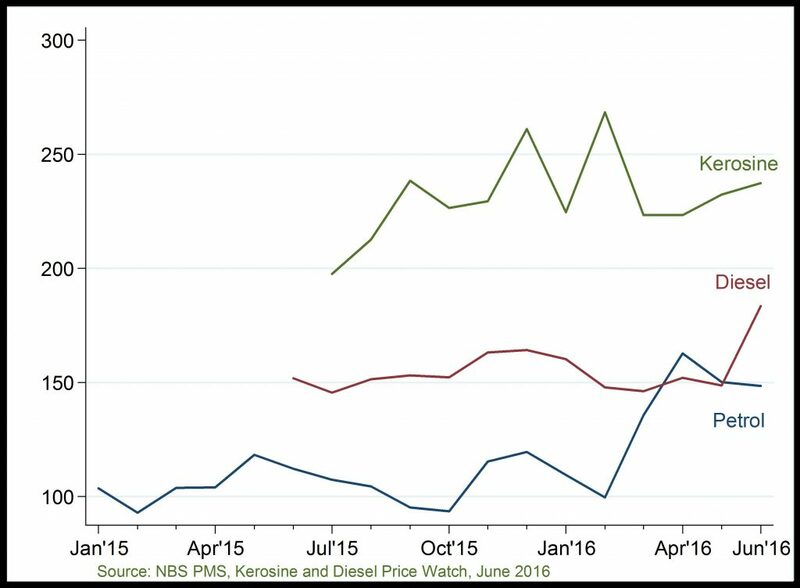 Premium Motor Spirit: PMS price has been below N120 up until April 2016. The unusual rise in PMS in April 2016 is attributable to the recent removal of fuel subsidy and the upward adjustment of fuel pump price (from N85.5 to N145) witnessed in 2016Q2.